Lots of BIG NEWS today! So, I've told you about the charity Super Bow-Wow Drive we're holding this week. Our grade level brought in $600 TODAY in our Pennies for Puppies challenge!!! They are knocking my SOCKS off with their generosity this week!! Holy Moly! 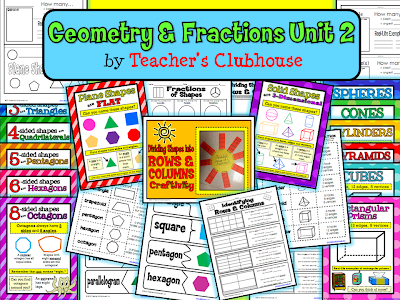 Speaking of our Teacher's Clubhouse, we've just added ANOTHER new unit to our site. This is a second Geometry & Fractions unit and it has all kinds of resources, including some to help teach how to divide shapes into rows and columns (you know, that new common core standard?) ;) It's a great addition to our first Geometry and Fractions unit. We just finished this unit in my classroom and my kiddos ROCKED IT OUT!! 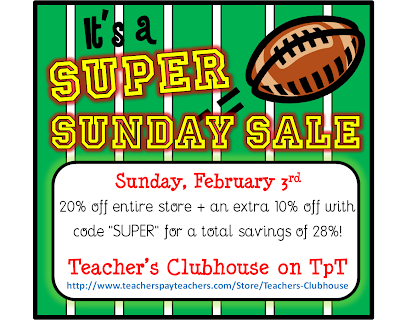 Go ahead and start filling your cart at our TpT shop because we'll be joining the SUPER SALE on Sunday! 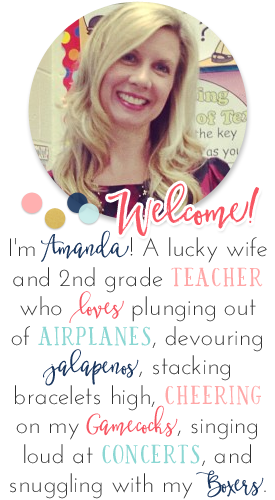 While we're on the subject of SUPER, take a look at the SUPER blog I have to showcase today....You're going to LOVE Michele at Coffee Cups and Lesson Plans! Hello all! 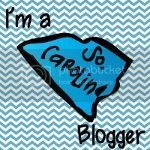 My name is Michele and I'm the Budding Blogger for Amanda this week. Thank you Amanda for picking me! I'm so excited! 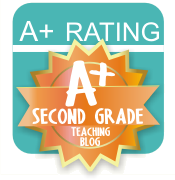 My little 'ol blog began in August of 2012- Coffee Cups and Lesson Plans, because honestly.. I literally Run on Dunkin! My students know me oh too well, don't you think! Personal: I'm a New Yorker born and bred. I live with my husband of 17 years, my two children, and my Bernese Moutnain dog, Mater..yes as in Tow-Mater. Orange is my absolute FAVE FAVE color... especially when it's complimented with blue- bet you couldn't tell that from my blog huh! I'm a huge fan of college basketball-- Be loud.. Be Proud.. Be Orange.. go Syracuse! 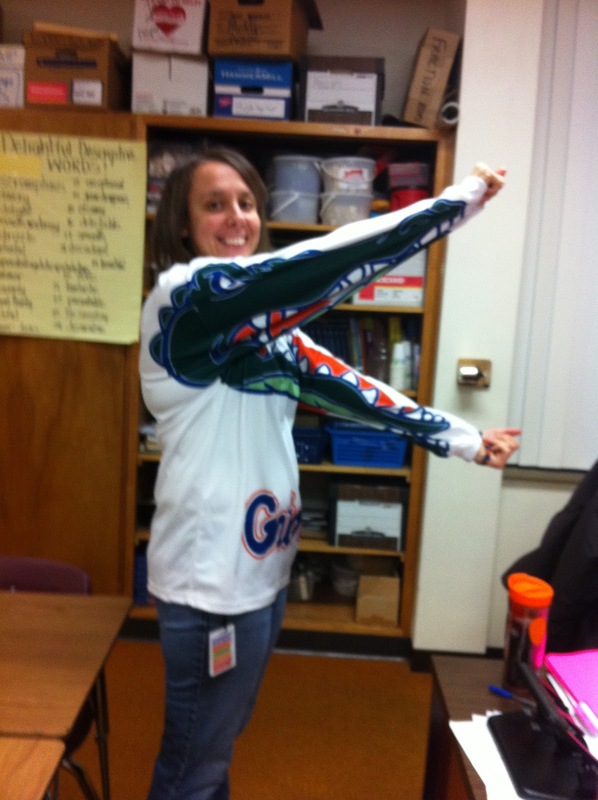 and I'm partial to Gators Country as well. Grade I teach and How long I've taught: For the past 13 years I've taught 6th grade to some serious Smarties! I have also taught 2nd, 3rd, 5th and been a Reading Teacher (6/7). Total I have been teaching for 19 years. What is your favorite subject to teach? This is a tough question. 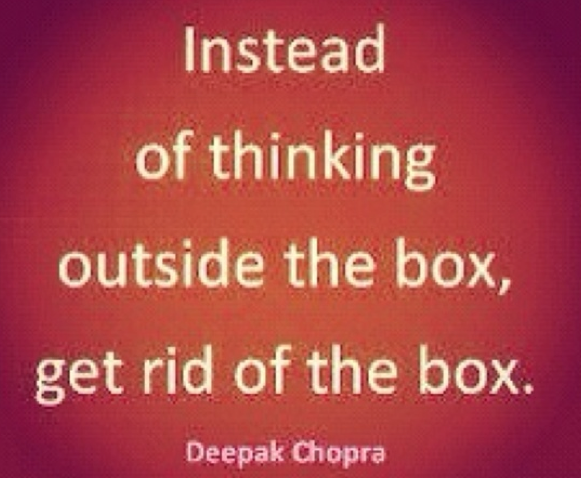 I LOVE teaching both ELA and Math which is what I am currently doing. My undergraduate degree certifies me to teach Pre K-8. It was specifically designed as a grant from the National Science Foundation for graduates to go into a Middle School Setting and teach Math or Science. Lucky me, my FIRST job was in a 5th grade classroom teaching WRITING.. gulp. I knew immediately what my masters degree would be in! I love being able to incorporate the reading and writing skills into my math classroom. Vocabulary is so critical with this new Common Core. 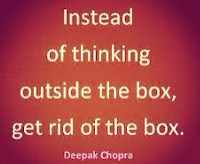 What would you see if you popped into my classroom and my teaching style? If you popped into my classroom on any given day you would see most of my smarties working in small groups on an activity. 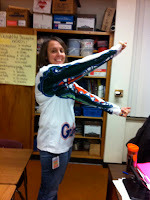 You may see a few on the Smartboard and me running around in my converse sneakers working with the groups. For me it's a lot easier if I travel to them rather than calling them over to a group. 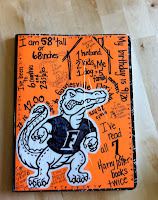 I tend to teach mini lessons using picture books for ELA and foldies in Math. You will also see book boxes galore. I don't have cubbies in Middle School, but my smarties each have a book box with their ELA interactive notebooks in them. Hopefully you wouldn't linger too long in the doorway because someone will have invited you in to sit back, relax and enjoy the ride! What gets me through one of "those days"? A GIANT..cup of Dunkin Donuts Iced Coffee.. and Dave Mathews Band..
What is one teaching resource I can't live without? 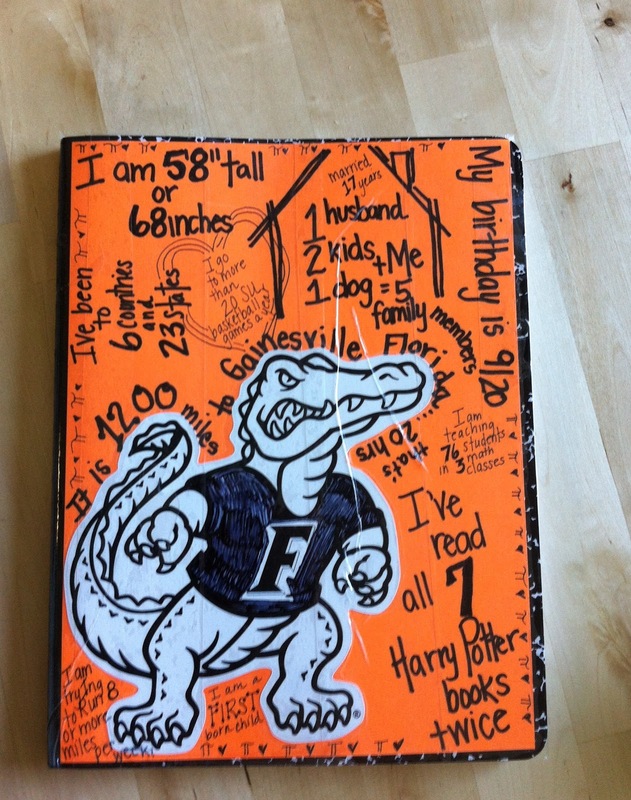 My interactive Math notebook. I have absolutely LOVED doing these this year. My students have really taken ownership with them. Huge.. Big.. Fabulous... THANK YOU to Amanda for letting me use a little space on her blog today! 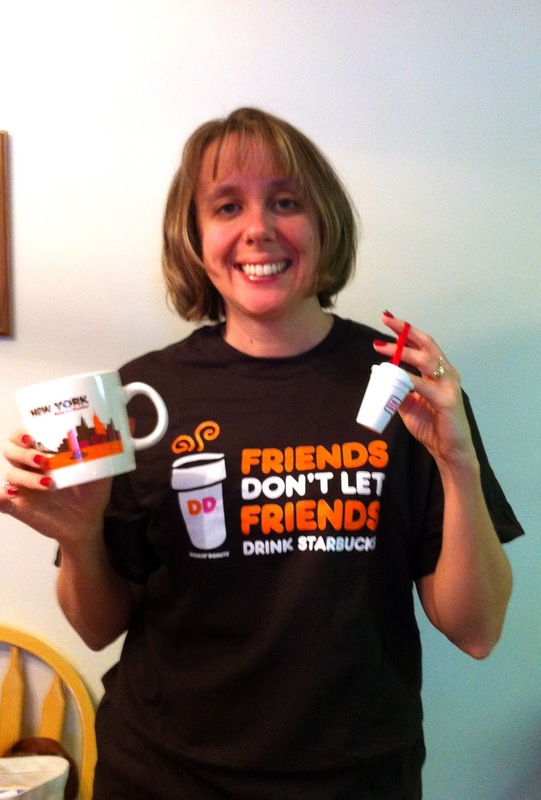 Please stop on by with a 'cuppa' coffee and visit me at Coffee Cups and Lesson Plans when you can! Thank you again for featuring me. I had so much fun writing the Budding Blogger post. Beng featured is a great way to end this FREEZING month.. on to February and things that warm your heart! This was cool of Amanda to do!